This tender Paperwhite is well-suited for forcing. 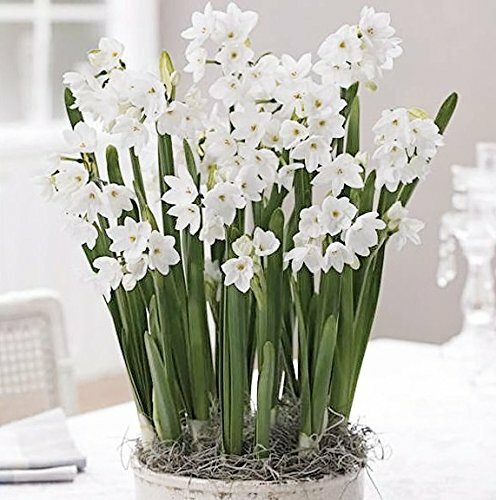 It blooms in only two or three weeks from planting, bearing pure-white, musk-scented flowers Full Sun 16"-20" Tall Zone 9-11 These Narcissus have been treated so that you can plant them indoors in a 6" planter and enjoy their sweet scent this winter. Slightly Sprouted and ready to grow! Treated so that you can plant them indoors in a 6" planter and enjoy their sweet scent this winter!